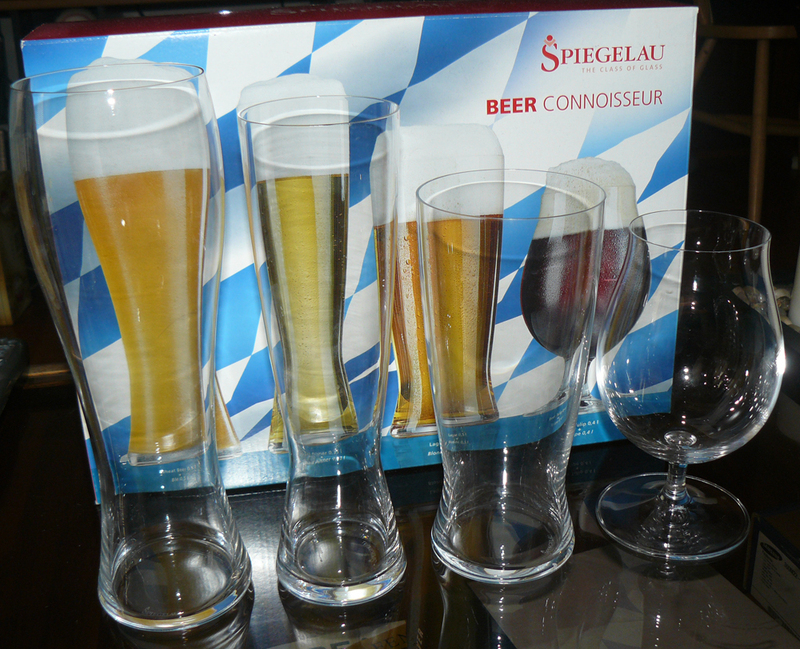 Spiegelau has been making fancy glasses for beer aficionados for quite some, though. In fact, Spiegelau’s Beer Connoisseur set, which is composed of one wheat beer glass, one lager/blond glass, one tulip and a tall pilsner glass, is probably my favorite set of unbranded glassware. I got my set as a gift from my girlfriend, and I use it constantly. I prefer to use branded glassware whenever I can—I’m just as much of a beer-glass nerd as I am a regular ol’ beer nerd. But, honestly, the quality of these four Spiegelau glasses is higher than 90 percent of the branded glasses in my collection anyway, and I drink so many different kinds of beer that using corresponding branded glassware isn’t always an option. Spiegelau glass is very thin and delicate. And it’s also quite expensive. This set of four glasses sells for $49.90 plus shipping in the official Spiegelau’s online store, but Amazon.com will sell you the same set for $39.99 plus shipping. (Free shipping is available for Amazon Prime members.) All of the glasses have the Spiegelau logo on their bases. My favorite glass is the tulip, because I drink a lot of Belgian and Belgian-style ales that are best suited to this type of glass. It’s very well designed, and it just feels elegant. I also use the lager glass quite a bit for lagers and hoppy ales—though I’ve mostly been using the Dogfish Spiegelau glass for IPAs. Amazon.com says they are dishwasher safe, but I always hand wash my glasses just in case; they don’t feel dishwasher safe. Again, these glasses aren’t cheap but if you take care of them they should last a long time. And they genuinely do enhance the beer-drinking experience.